Radiant red multifaceted Czech rondelle glass crystals are lovingly set in feminine shiny bright gold metal flower petals. The two sizes of glass crystals are accented with 22k gold-filled heishi rondelle spacers. The lever back earring wires and jump ring attachments are 14k gold filled. A small white cotton filled gift box is included. Earrings dangle 2” long (5.08 cm). The shipping cost is included in the price (USA). 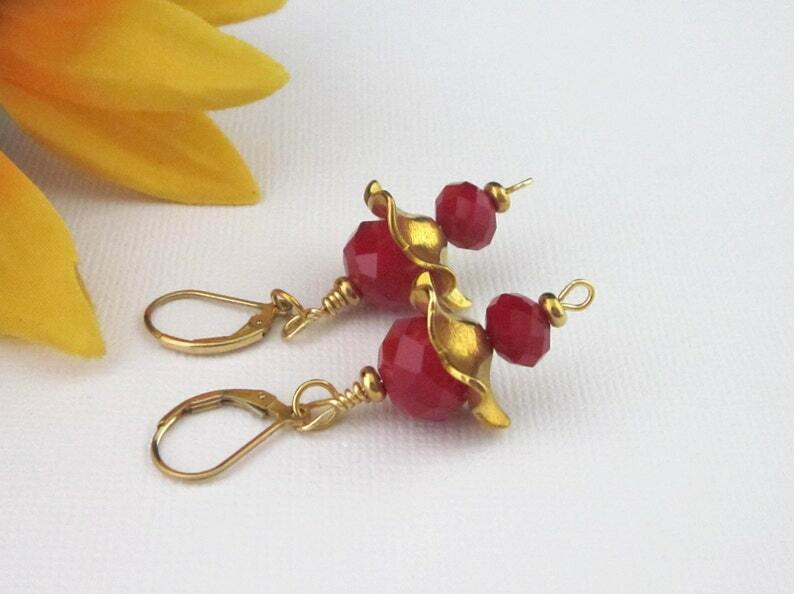 Pretty and unique handmade red and gold dangle earrings! 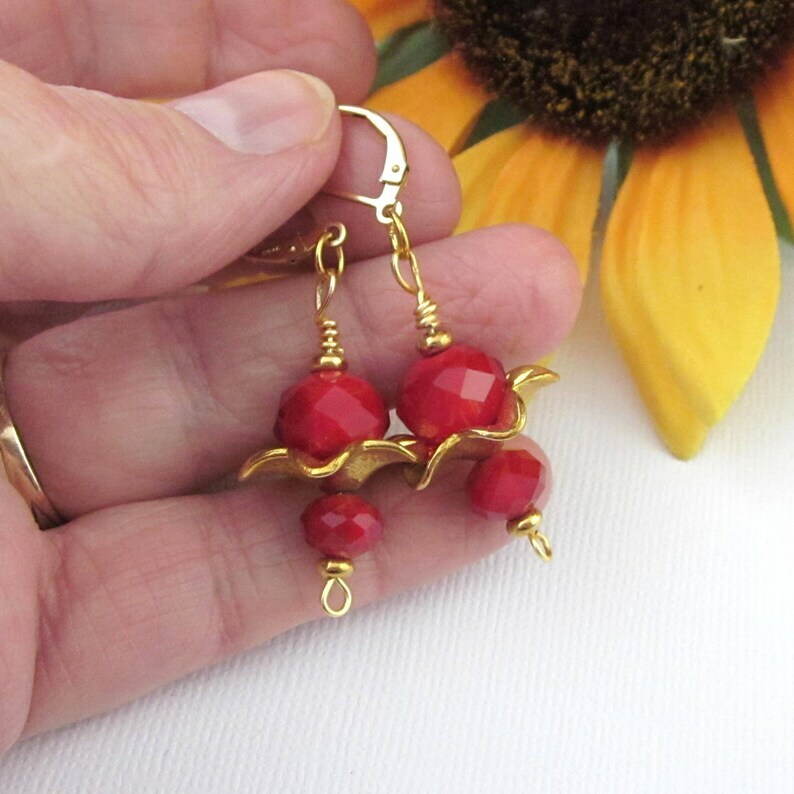 Such an awesome pair of red and gold flower earrings! Shared. I love the wavy gold petal bead and how the red crystal rests within. Very lovely earrings. Love these earrings. The red of those beads against the gold is just beautiful.